We'll be creating this pattern in InDesign, using the TeaCup PatternMaker plugin. 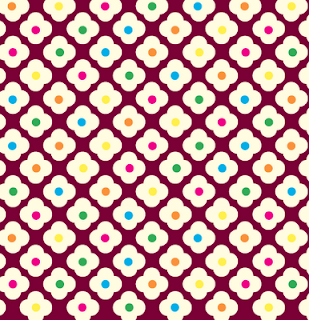 Let's first make the white portion of the flowers. 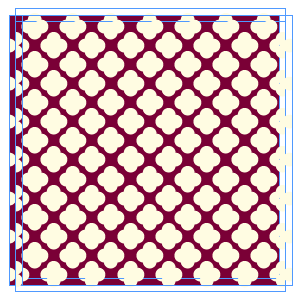 Start with a square frame about 5 inches square. Fill it with a dark reddish brown. 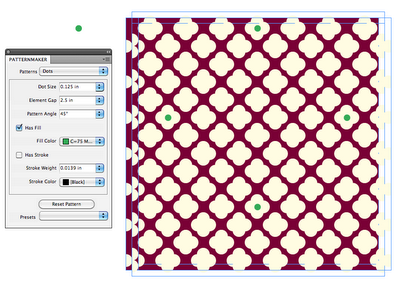 Then fill it with a Dots pattern, using the settings below. Copy the frame and then paste in place. Remove the fill color. Then nudge it over and up a bit. This creates the top petal. Paste in place and nudge it again (for the bottom petal). Paste in place and nudge yet again (for the right petal). This completes the flower petals. 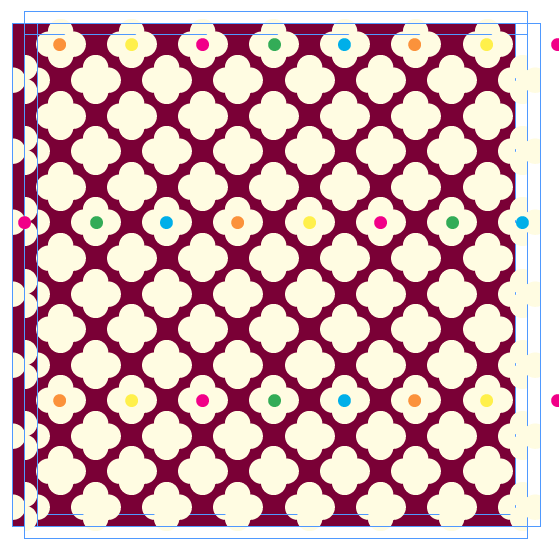 To keep these background circles out of the way while you build the rest of the flowers, group these four frames and put them on their own layer. 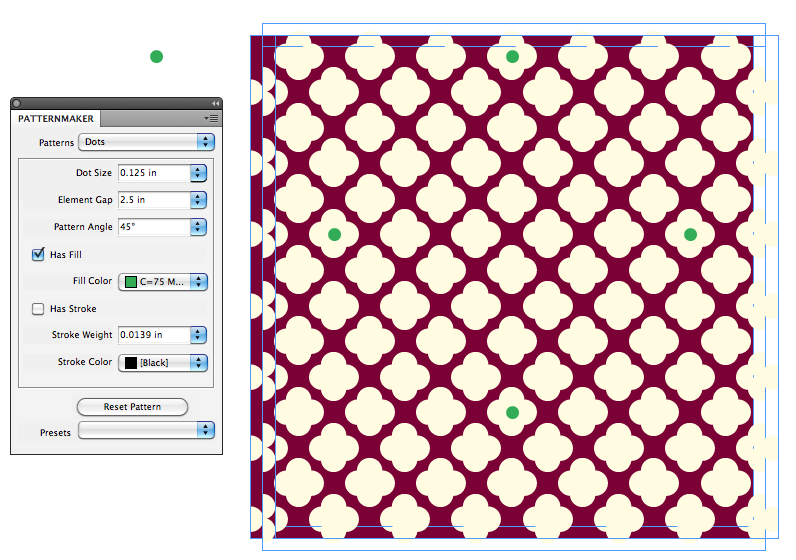 Then lock that layer. 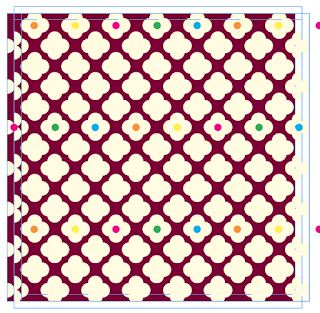 Next, we'll make the small center of the flowers. 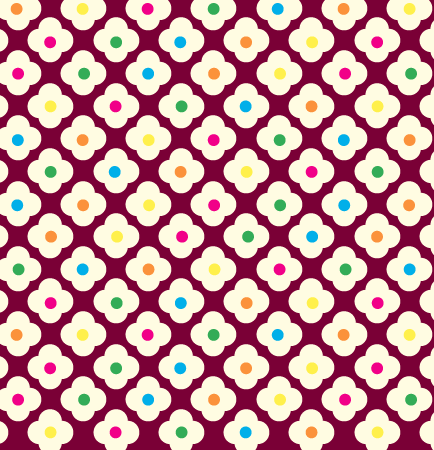 Since there are five different colors of dots for the center of the flowers, we'll need to use different settings for the Dots pattern. You should still have one of the cream colored circles pattern on your clipboard, so paste it in place. 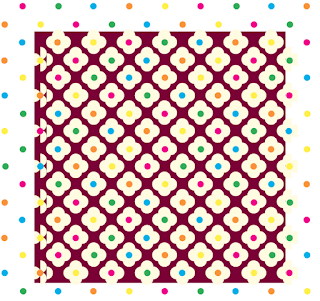 Then, make the frame really big; about four to six times larger. 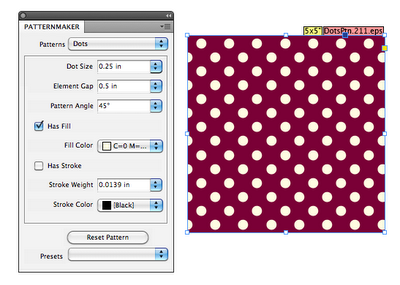 Then apply these PatternMaker settings. 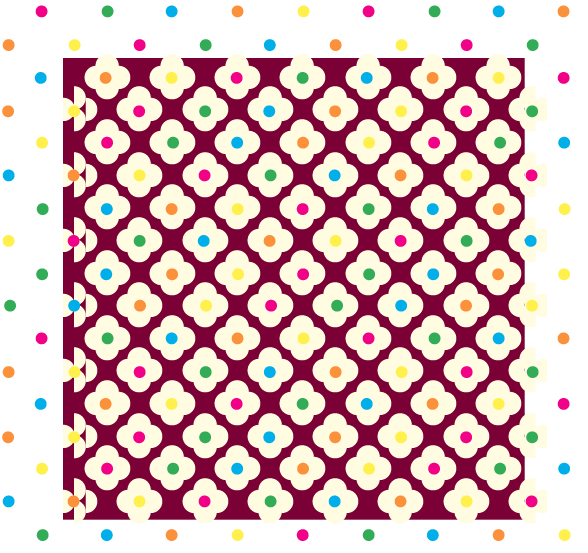 Then, select these five smaller Dots patterns and group them. Paste in place. Then nudge them over and down to fill the next set of flowers. Repeat for the remaining rows of cream colored flowers. 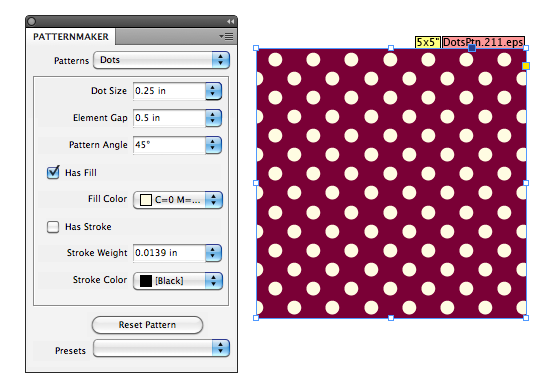 If you like, you can create clean edges (and hide all the extraneous dots) by grouping all the Dots patterns (including the ones you earlier put on their own layer), and paste them into a new smaller frame.